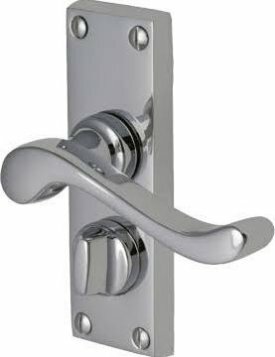 Chrome plated brass privacy door handles, supplied in pairs with follower bar and fixings. Lock and emergency release facility for use on bathroom doors etc. 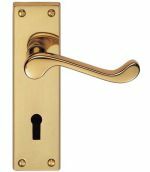 Door handle size 118 x 43mm.